Did you know that we offer three unique cabinet styles and colors? From classic white, to neutral combinations, to different shades of brown, selecting your cabinet style and color palette sets the tone of each room you are decorating. If you like the combination of a classic wood finish and something a little more updated and modern, the White Mushroom style may be for you. The appearance is ideal for kitchens and bathrooms, creating the illusion of a clean and untouched surface. White Shaker is one of the more popular cabinet styles, simply because it provides a more refined appearance in the kitchen. If you choose to install this style in your bathroom, and depending on the measurements, you may find more storage space for personal items, creating less clutter. 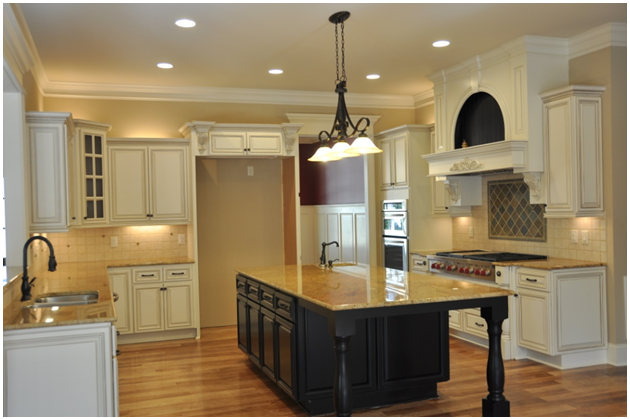 White Shaker cabinets also appear more 3-dimensional, and an optical illusion for kitchen entertainment. Are you more into minimalism and rich finishes? The Shaker Espresso style is perfect for anyone who enjoys a darker ambiance in their home, or for the one who likes to keep things practical, straightforward, and edgy. Not sure which cabinet style will best suit your space? Give us a call at 773-495-9950 to set up an in-store consultation at our River North showroom!